In light of the Germanwings flight crash last month, the German aviation authority has urged the industry to create a technology that will allow air traffic controllers to override a pilot’s commands and take over the aircraft in emergency situations. “We have to think past today’s technology,” Klaus Dieter Scheurle, head of the Deutsche Flugsicherung air traffic control authority said at a press conference on Wednesday, as he urged the aviation industry to develop a reliable remote control system for commercial aircraft. The idea emerges following the tragedy of Germanwings Flight 9525 on March 24, where co-pilot Andreas Lubitz locked himself in in the cockpit and deliberately crashed the aircraft in the French Alps, killing all 150 people onboard. “Such an event might cause us to reconsider systems which would allow the control of aircraft to be taken over by personnel on the ground in emergency situations,” Scheurle said. The idea is to allow air traffic controllers to take over an aircraft and set it on a pre-programmed safe course for landing. Although similar guidance systems are already used in piloting drones, such technology is unlikely to be deployed in commercial aircraft within the next decade, the aviation chief believes. “There should be no ban on thinking about how to handle a plane in an emergency when the people on board cannot help,”Scheurle said. “Such incidents may and will occur again, and we must think about how to manage them so that nothing bad happens,” he added without elaborating on what could prevent a person with bad intentions to turn such a system off from inside the cabin. German pilots’ union Vereinigung Cockpit has already argued against the introduction of such system, saying only sitting inside the cabin one can make a fully informed assessment of the situation and make a decision. “We also have to ask whether such a solution would really be an improvement, after all it’s the pilots who are sitting in the cockpit and they’re the ones with all the information,” Vereinigung Cockpit spokesman Markus Wahl told Reuters. 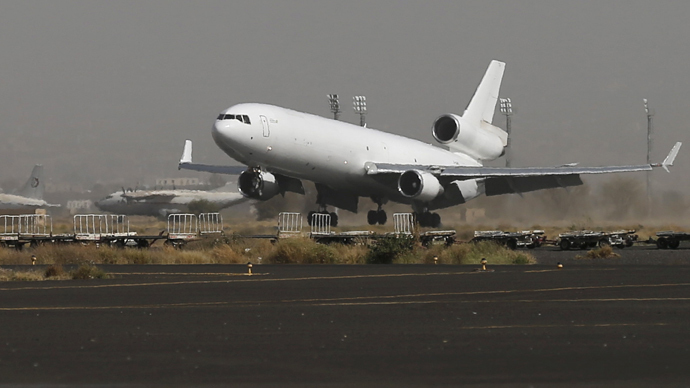 Reminding of a new vulnerability risks such system would pose, the British Airline Pilots’ Association (BALPA) also expressed skepticism for the remote-controlled landing. “We must act with careful consideration to ensure new safety risks or concerns are not created, such as those raised by the vulnerability of any form of remote control of a passenger aircraft,” BALPA said in a statement. Indeed, just this week the US Government Accountability Office warned that modern commercial aircraft packed with electronics are already vulnerable to sabotage through hacking, even without such a full-fledged remote control system. “Modern communications technologies, including IP connectivity, are increasingly used in aircraft systems, creating the possibility that unauthorized individuals might access and compromise aircraft avionics systems,” GAO said in its report, quoting cyber security and aviation experts.